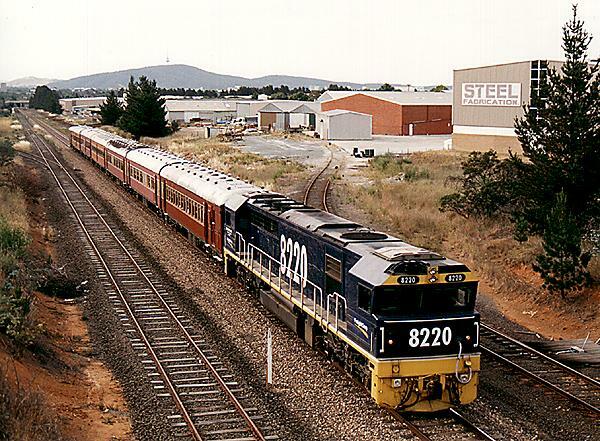 The 82 class was built by Clyde Engineering at Braemar, NSW. The first unit was in service in 1994. 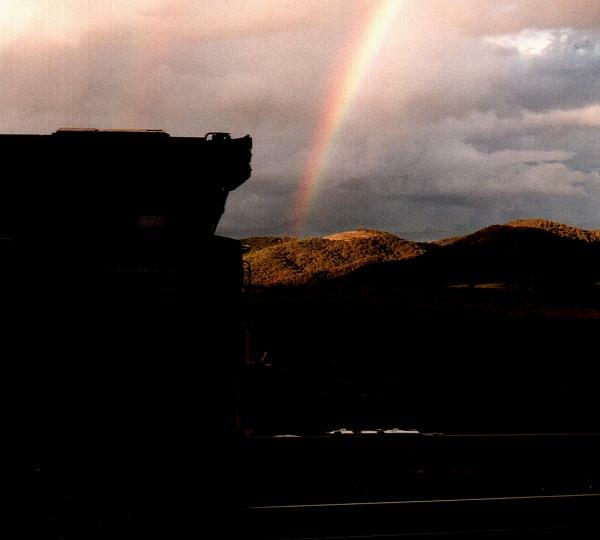 There are 58 units in the class, numbered 8201-8258. 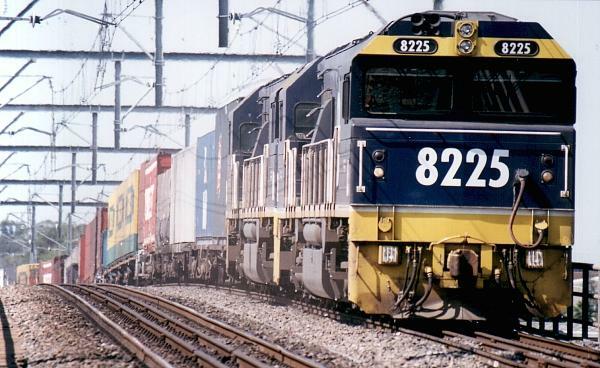 They have a V12 turbo-charged 2 stroke EMD 12-710G3A engine. 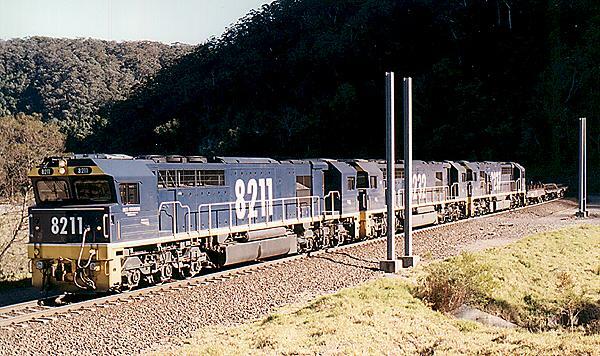 They weigh 132 tonnes and have 3000 HP available for traction. 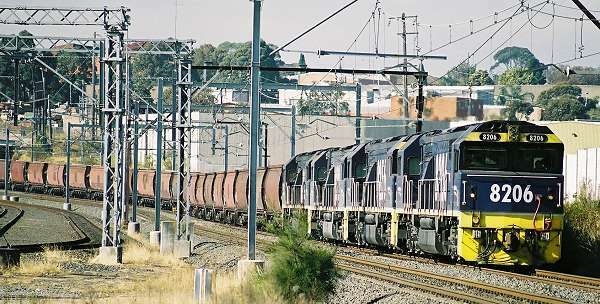 8206, 8250, 8208 & 8211 lead an empty coal train through Enfield on August 2nd, 2002. 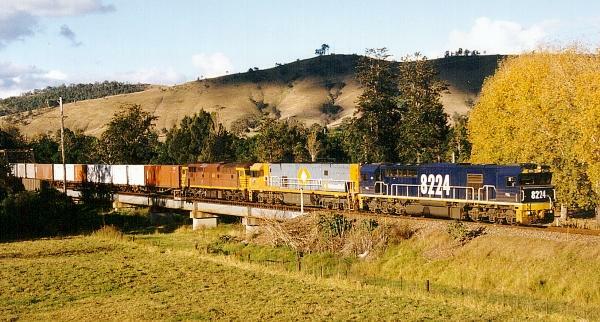 8220 leads SL74, an ARHS ACT dinner dance train to Tarago through Fyshwick on December 12th, 1997. 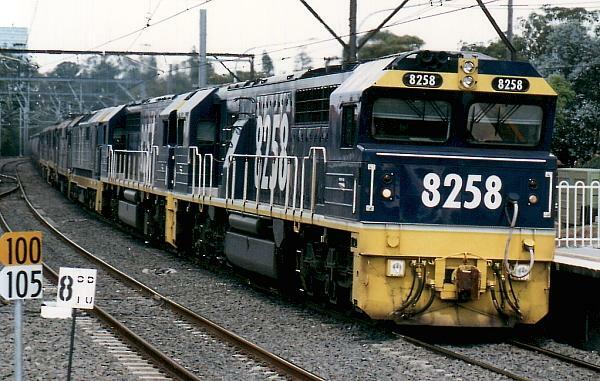 8211, 8232 & 8237 lead 4PN2 down the 1 in 30 grade through Dombarton on July 7th, 1996. 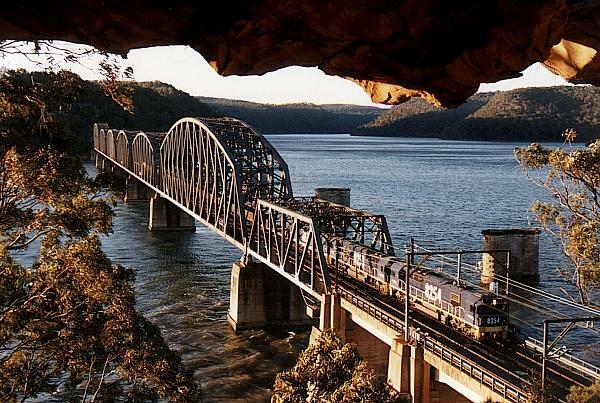 8254, 8253 & 8167 cross the Hawkesbury River Bridge on August 17th, 1997. 8244 crosses onto the main line at Stratford Junction with a spectacular rainbow in the background. June 7th, 1997. 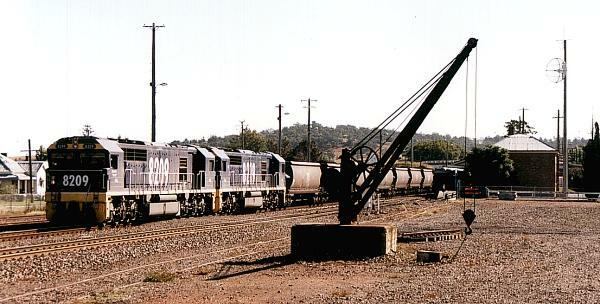 8209 & 8219 pass the old loading crane in Singleton yard on June 8th, 1997.